And yet, we see little of this actually happening on the ground. What could be the reasons? Could it be that people can ‘live with HIV’, and like those living with diabetes or hypertention, can enjoy long periods of perfectly good health if they take the right precautions? They therefore have the will and the strength to do other things such as demand better services that can enable better quality of life. People with TB are unwell people, they have debilitating symptoms that prevent them from leading normal lives during the time that they are sick. How can sick people come together? Or is it that TB, if treated on time can lead to a complete cure and cured patients don’t find the need to come together? Ever heard of patients cured of influenza forming groups and advocating for better services? I request readers to give their inputs and strengthen this discussion; what I have written here are just nascent threads of thought that beg answers. A process of elimination – When it comes to diagnosing a killer disease, can we do better? Dr Madhukar Pai, of Montreal’s McGill University, investigates the implications of TB misdiagnosis. Short-course (DOTS) has been a successful public health intervention. Yet TB remains a problem of enormous magnitude that does not receive the attention it deserves. The statistics are compelling – more than nine million new cases and 1.7 million TB deaths in 2009. Although many countries have met the Stop TB Partnership’s targets of 70% case detection and 85% cure rate by 2005 (70/85 targets), TB incidence is still not falling or as quickly as expected. India is a case in point. The country has successfully scaled-up the DOTS strategy to cover 100% of the population, and has already achieved the targets for case detection and cure. Yet, in 2009, India reported over two million TB cases, with 280,000 deaths. Why are these numbers still so high? For one thing, TB is a disease of poverty with several social determinants, requiring broad anti-poverty measures to address it. But another important reason is that TB patients are not diagnosed and cured quickly enough. When this is the case, TB patients may unknowingly spread their infection to their families and communities – further exacerbating the epidemic. Fortunately, things are rapidly changing. The TB field has acknowledged that existing tools, especially diagnostics, are unlikely to achieve TB elimination and there is now a resurgence of interest and funding in developing new and more effective technologies. Thanks to donors, product development partnerships and researchers, tremendous progress has been made in expanding the TB diagnostics pipeline in particular. In addition, thanks to rapid, evidence-based policy development by the World Health Organization (WHO), several new TB diagnostics and approaches have been endorsed. The WHO is also promising that these policies are now being rapidly translated into programmes to deliver the diagnostics. In December 2010, the WHO announced its endorsement of Xpert MTB/RIF (Cepheid Inc, Sunnyvale, USA), a cartridge-based molecular test, which can accurately detect TB and resistance to Rifampin – a commonly used first line TB drug – in less than two hours. This assay is a fully automated system that is simple to perform with minimal training, and that can be done outside a laboratory. For the first time, a molecular TB assay can be placed closer to the patients, opening the possibility of point-of-care diagnosis. The WHO now recommends that Xpert MTB/RIF should be used as the frontline test in individuals suspected of drug-resistant or HIV-associated TB. These recommendations have been backed by efforts to make the test affordable in low and middle income countries. Innovative tests such as Xpert MTB/RIF have the potential to save millions of lives. More broadly, improvements in TB diagnostics have the potential to drive a virtuous cycle: the promise of improved tests can drive their acceptance and scale-up, which will lead to better outcomes for patients and more credible health systems able to attract more funding for the development of even better technologies and delivery methods down the road. In addition to improved diagnostics, TB control programmes are also getting more ambitious in their goals, looking beyond the 70/85 targets. Once again, India provides a good example. It is currently on the verge of launching an ambitious phase of its TB control programme (RNTCP 3 – 2012-2017) that aims to provide universal access to quality diagnosis and treatment for the entire population. As a growing economic power, India is now uniquely placed to support this ambitious control plan and make a success story that can inspire other high TB burden countries and pave the way for a more ambitious global control agenda. India also has the economic and technological capacity to develop low-cost generic or novel diagnostics, and incorporate their scale-up to achieve impact at country level. While these new diagnostics and ambitious goals are cause for optimism, there are also a number of other gaps in effective TB diagnosis and control that still need to be addressed. These include poor case detection rates and diagnostic delays, mismanagement of TB, lack of adequate regulation of TB diagnostics, lack of laboratory quality assurance, and inadequate funding for TB control. Even in 2009, the global TB case detection rate was low – only about 63% of all TB cases were picked up. Diagnostic delays are also common, due in part to a reliance on old tools; by the time a patient is diagnosed to have TB, she has already visited multiple care providers, and infected several others. As illustrated in a recent New Yorker story by Michael Specter, mismanagement of TB is a major concern, especially in the private sector in developing countries There is growing recognition of the widespread use of inaccurate and inappropriate TB diagnostics in many countries, Published evidence clearly shows that serological (antibody detection) tests for TB are inaccurate, inconsistent, and have no clinical role in TB diagnosis, with no international guidelines supporting their use. Despite this, an estimated 1.5 million TB serological tests are done in India alone every year at an expenditure conservatively estimated at US$15m per year,. This cost is substantial, compared to the entire Indian TB control programme budget of $65m. Mismanagement of TB is not only bad for the individual patient; it is also disastrous from a public health perspective. Every mismanaged TB patient serves as a source for new infections in the community. Widespread abuse of inappropriate tests can prevent the use of good diagnostics, and this is a major challenge for implementation of new tools. Recognising this, the WHO recently announced its first negative policy in TB, against the use of TB serological assays. The policy, however, will not preclude research in serological tests, because of the potential for a useful, simple, point-of-care test in future. While WHO policies provide guidance at the global level, it is up to countries like India to implement them and tighten regulation to prevent abuse of suboptimal diagnostics. Unlike drugs, the regulation of in vitro diagnostics is weak in most low and middle income countries, and this allows for bad diagnostics to enter the market despite lack of evidence or policies to support their use. Once on the market, financial gains by various stakeholders (doctors, laboratories, diagnostic companies) keep such products profitable. In addition, there is little laboratory quality assurance in many high TB burden countries. In India, for example, an overwhelming majority of the laboratories have no formal quality certification or accreditation. Bad diagnostics implemented in bad laboratories make for poor quality of care. Indeed, the New Yorker article and a recent World Report in the Lancet  paint a grim picture of the diagnostic and treatment ecosystem in the private sector of resource-limited countries with systemic market failures throughout value chain. These include dumping of useless diagnostics from rich countries into developing countries with weak regulation, private doctors receiving payments/incentives for tests ordered rather than improved patient outcomes, over-reliance on useless tests and under-use of good diagnostics, prescription of incorrect TB treatment regimens, and lack of patient monitoring to ensure adherence to TB treatment. In conclusion, there are many positive trends in the diagnostic landscape for TB, but technology development will not by itself save lives. Xpert MTB/RIF is an excellent innovation backed by a strong policy, but it is likely to make a big impact only if high-burden countries like India, China, Brazil and South Africa adopt this test, use it to replace inaccurate tests, and address market failures to reduce mismanagement of TB, especially in the private sector. These countries can be global leaders by investing in the scale-up of new diagnostics in both public and private sectors and placing the technology at a level where early diagnosis can be accomplished with prompt initiation of TB treatment for drug-sensitive as well as drug-resistant TB. If these large, high-burden countries succeed, then global TB elimination will become a realisable goal. The author is a co-chair of the Stop TB Partnership’s New Diagnostics Working Group (NDWG), and a consultant to the Bill & Melinda Gates Foundation (BMGF). The views expressed in this article are the author’s own and do not necessarily reflect those of NDWG, BMGF or JATB. JATB is proud to feature news about the BCG World Atlas launched by a team of researchers from McGill Univeristy and the Research Institute of the McGill University Health Centre (RI MuHC). The BCG World Atlas, a first-of-its-kind, is an easy-to-use, searchable website that provides free detailed information on current and past TB vaccination policies and practices for more than 180 countries. “The Atlas is designed to be a useful resource for clinicians, policymakers and researchers alike,” said co-author Dr. Madhukar Pai, who is an assistant professor at McGill’s Dept. of Epidemiology, Biostatistics & Occupational Health and a researcher in the Respiratory Epidemiology and Clinical Research Unit at the Montreal Chest Institute and the RI MUHC. “It has important implications on diagnosing and treating TB and on the research that’s being done on developing a new TB vaccine.” Pai is a senior author on a paper about the BCG World Atlas that was published in the March edition of the journal PLoS Medicine. The Bacille Calmette-Guérin (BCG) vaccine was introduced in 1921 and continues to be the only vaccine used to prevent TB. Despite nearly a century of use, the vaccine remains controversial, with known variations in efficacy, strains, policies and practices across the world. 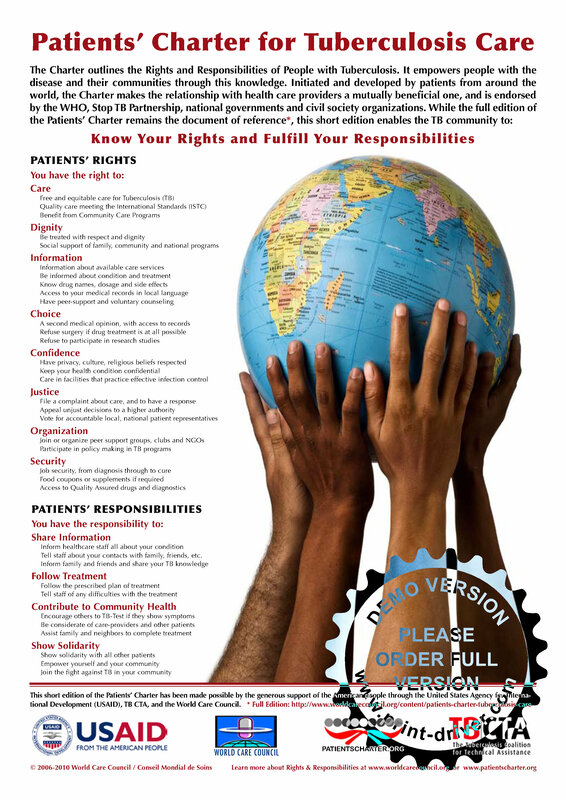 Clinicians need to be aware of the various BCG policies in different parts of the world, as well as changes to those policies over time, especially when dealing with foreign-born adults who were vaccinated as children and who are unlikely to have retained their childhood vaccination records. Ms. Alice Zwerling, BCG Atlas project leader and PhD candidate in epidemiology at McGill, explained that BCG vaccination can cause false positives in the skin test that’s routinely used to screen for latent TB. “As a clinician, if you’re trying to interpret the skin test in a foreign-born person, you’re going to want to know when the BCG vaccination was given back home and how many times it has been given. The Atlas provides this information and can help doctors decide on when to use the newly available blood tests for TB that are not affected by BCG vaccination,” she added. welcome input from countries that are currently not covered. Medicins Sans Frontieres has sent in a request for this release to be featured in JATB, for which we thank them. It carries a powerful argument for problems associated with availability and pricing of drugs for DR (drug resistant) TB to be examined and solved, even while more efficient diagnostic tests evolve. Merely strengthening diagnostics would be like putting the cart before the horse! treatment, and DR-TB kills 150,000 people annually WHO. The treatment of DR-TB relies on old antibiotics, many of which have severe side effects, ranging from constant nausea to deafness, and must be taken as complex regimens – patients must take up to 17 pills every day for up to two years. However, these are the only drugs that exist today that can tackle DR-TB. MSF’s report shows that these drugs are riddled with persistent supply and price problems that must be urgently addressed. old, expensive and prone to stockouts. MSF is calling for these problems to be urgently fixed, especially as a new diagnostic test currently being rolled out reduces the diagnosis time from 3 months to just 2 hours. This will diagnose more people, who will need to go on to treatment. MSF’s report examined medicines used to treat DR-TB according to the number of suppliers, quality assurance and price, based on information obtained from the Global Drug Facility and drug manufacturers. It found that four of the recommended medicines are available from only one quality-assured source. Relying on a sole supplier whose production could be disrupted or stopped at any time always carries a risk of dangerous treatment interruption for patients. For example, supplies of the injectable drug kanamycin were disrupted during 2010, leading to a temporary global stockout. treatment regimen can cost as much as US$9,000 for one patient – 470 times more than the $19 per patient it costs to cure standard, drug-sensitive TB. “Now that we have a new test that can detect DR-TB in less than two hours instead of three months, we’re going to see many more people who will need reliable drug supplies to get cured,” said Dr. Jennifer Hughes of MSF in Khayelitsha, South Africa. MSF is rolling out the new test in 15 countries this year. “We need to see some immediate action to resolve these problems and improve access to DR-TB drugs so that more people are started on treatment and transmission of this disease is reduced,” said Dr. Hughes. One way to kickstart increased production of some of these drugs is for donors to guarantee purchase volumes for several years to producers upfront. Other mechanisms such as better forecasting of the mid- to long-term needs for DR-TB drugs are also needed to help attract more producers to the market, to improve supply security and increase competition that helps brings prices down. “We have developed a model of managing DR-TB within the community that can be scaled up to allow increased access to treatment in high HIV prevalent settings. With faster diagnosis and better treatment models of DR-TB we need to fix the supply and price issues with DR-TB drugs. We also need to see new drugs developed,” said Dr. Hughes.